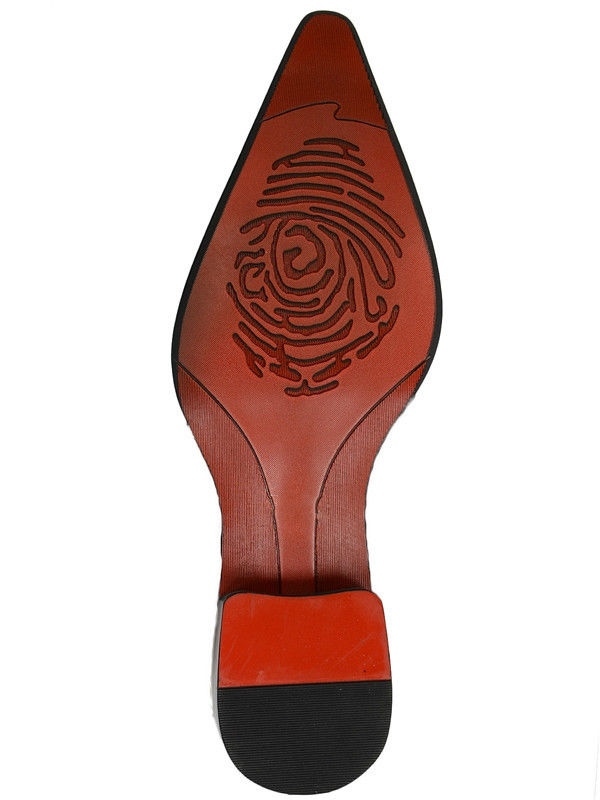 These daring dress shoes by Zota are nothing short of hot, hot, hot! 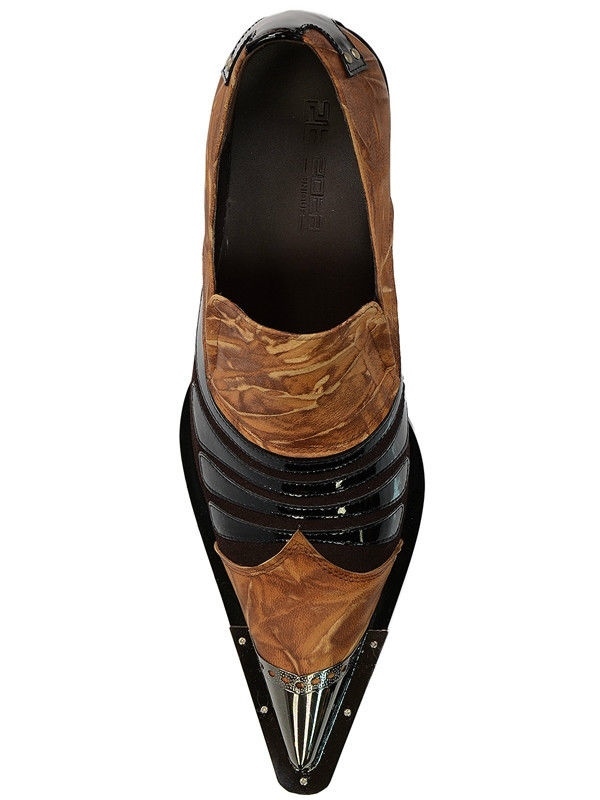 The patent leather upper is cast in Copper and features a pleated asymetrical vamp in Black. Black metal tip point-toe adds a stylish European flair. 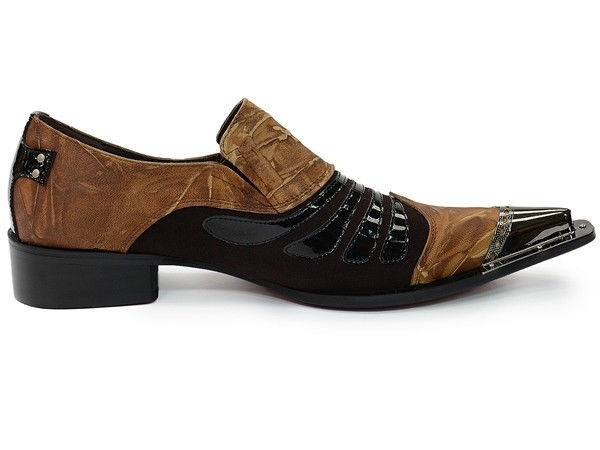 Wear these shoes with black jeans and a blazer for an upscale, casual look. Pointy metal-toe styling adds a rock 'n' roll edge.